Texas Capitol's Main Entrance Closed Due to Unspecified "Recent Events"
The state Department of Public Safety has closed the main entrance to the Capitol, citing a "current threat environment" and "recent events." The state Department of Public Safety has closed the main entrance to the Capitol, citing the "current threat environment" and "recent events." The south entrance — one of four primary entrances to the building — will be closed until further notice, DPS said in a statement Wednesday. The north, east and west entrances remain open. Concerns of violence have rocked the nation in recent weeks, following the shootings of black men in Louisiana and Minnesota, and attacks targeting police officers in Dallas and Baton Rouge. The shooting of Alton Sterling in Louisiana and that of Philando Castile in Minnesota just one day later fueled the national Black Lives Matter movement, which decries law enforcement’s treatment of minorities. At one of the group’s protests days later in Dallas, a sniper opened fire and killed five police officers. On Sunday, a man ambushed officers in Baton Rouge, killing three and injuring three others. 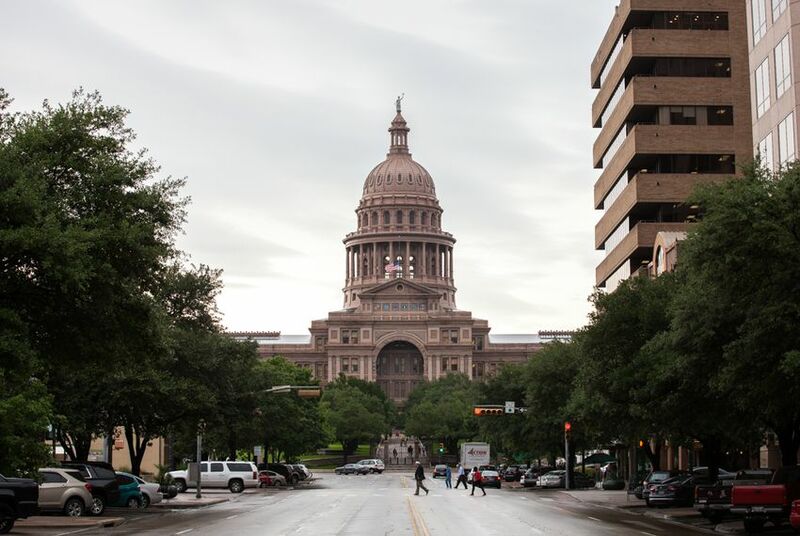 The Texas public safety agency asked Texans to remain vigilant and report any suspicious people or packages in the Capitol complex to DPS officials.